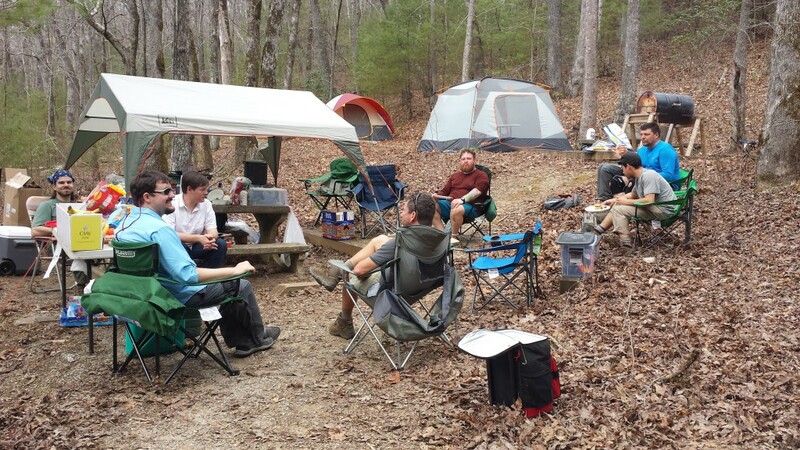 One of my friends hiked the full Appalachian Trail in 2013 and has been doing trail magic (kindness with no expectation of anything in return on the trail) for a weekend ever since. He’s tried to get me to come along in the past, but I always had plans that weekend and couldn’t go. That changed this year, so I packed my stuff and we set up camp and magic at Dicks Creek Gap, in northeast Georgia near Hiawassee. 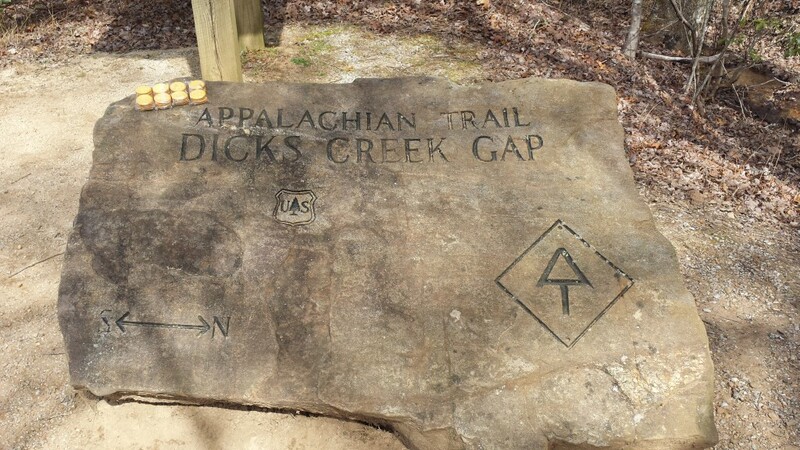 Dicks Creek Gap is about a week into the northbound trail experience, so we were meeting some of the hikers who had left on the early side of the traditional departure date. For many hikers, this is also their first break from hiking. Quite a few of them were planning to take zeros the next day to resupply in town and avoid the predicted rain for Sunday. We arrived on Saturday morning and had plenty of food on hand for the hikers: grab-and-go items like bananas, oranges, honey buns, Blast’s chocolate bar stuff that is somewhat healthy yet tastes very unhealthy and delicious, assorted candies, and a few other things I’m not thinking of. Plenty of sodas, beers, and bottled water stocked the coolers. Make-your-own chicken and veggie kabobs and salad made up the lunch and dinner food. Breakfast burritos and pancakes happened in the morning (with beercakes on Monday), all on MacGyver’s barrel grill. Both nights concluded with a hobo campfire and roasting marshmallows on the grill, along with lots of talk about materials that went over my head since my chemistry knowledge ends at high school chemistry. We made smores out of Thin Mints on Sunday night, which you should do immediately if you like Thin Mints and marshmallows. MacGyver brought a bluetooth boom box, and since the area had no mobile connection, we were limited to music on our phone. And since I was the only person with more than a few songs on their phone, I got to subject everyone to a selection of my musical tastes. This also meant listening to the occasional Hamilton track. I may or may not have skipped “It’s Quiet Uptown” to save myself from crying in front of everyone. This also meant I couldn’t take too many pictures because the music stopped whenever my phone was more than a few feet away from the boom box. Blast brought a big charger so hikers could recharge their devices, along with a projector and sheet for movies after the sun set. No one else stayed with us on Saturday night, so we watched 180º South, a documentary about climbing a mountain in Patagonia and probably some stuff about surfing too. (Not kidding there–there were so many random shots of this old guy surfing.) And on Saturday night, Soup and Daniel stayed with us and we watched Easy A. We also brought a lot of games and played several of them with various groups of hikers. Two rounds of Cards Against Humanity happened, one on Saturday and one on Sunday. We also played some Spyfall, and I was never the spy. Most of the entertainment was simply sitting around and talking about everything and anything. On Sunday evening Blast, MacGyver, and I corrected the fact that we were on the trail and hadn’t hiked any of it, so we hiked a mile or two up the mountain, taking in the view before getting to a campground. 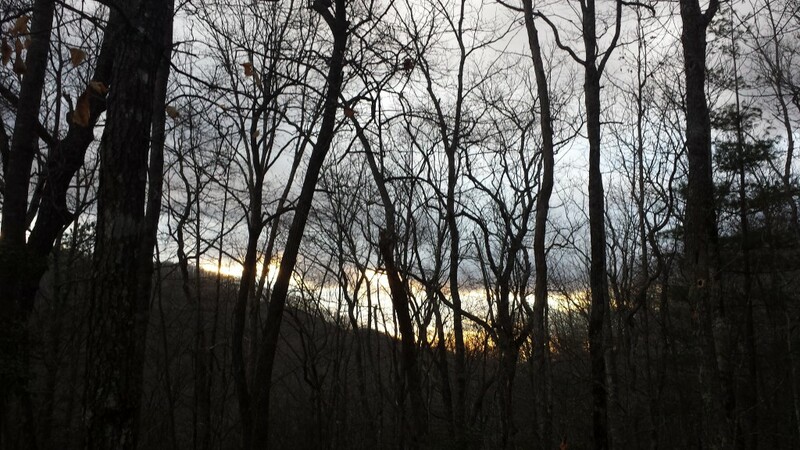 One of the hikers we met was camped there, so we stopped and chatted with him for awhile before heading back down. 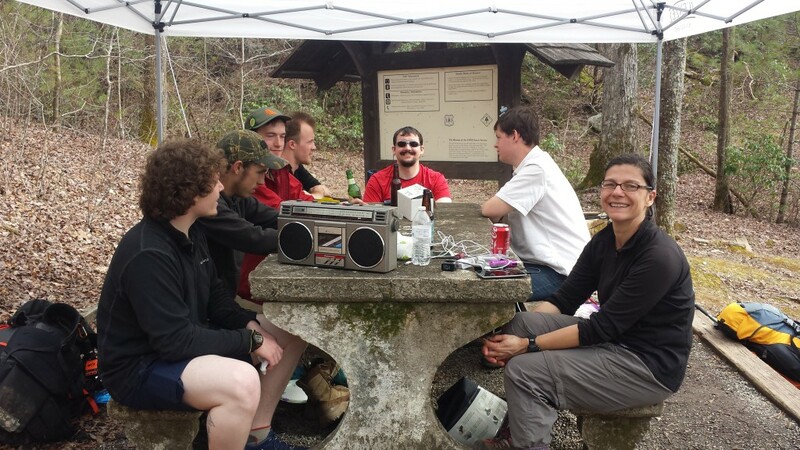 Another idea that came out of the weekend: a hiker version of Cards Against Humanity. Black cards like “How am I upholding my trail reputation?” and white cards like “Pink blazing” and “23 hikers in a U-Haul”. There would also be a PCT conversion kit, like the Canadian conversion kit for the regular game. This is going to happen. 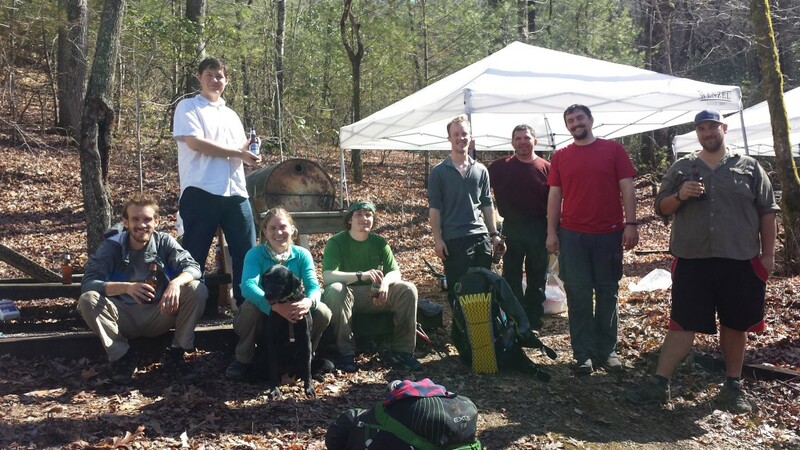 Sarah, Jetta the black lab, Astro, Soup, Daniel, Hans, B Hiker, and everyone else we met this weekend (sorry, I’m bad at learning lots of names at once), meeting you was a lot fo fun and I hope your thru-hike is everything you wanted to get out of the experience. And who knows, maybe I’ll be able to join your ranks in a few years. This entry was posted in Life and tagged travel by Sushi. Bookmark the permalink.